New York online poker bonuses are expected to be among the best in the industry. With one of the largest potential player pools for online poker in the United States, providers will go out of their way to ensure that players download their software and try out their games. • New Player Bonus – This bonus is for new subscribers only. Typically, it will include $5 to $20 in free play to test out various online poker games. It may also include freeroll entries or special tournament entries exclusive for new players. • First Time Deposit Bonus – This bonus is for players that decide to deposit into their accounts for the first time. These generally are a matching bonus of 100% up to a certain amount. These bonuses do require an extensive amount of play to clear. Typical clearing is $10 per 100 player reward points earned. • Reload Bonus – A reload bonus is for players whom have deposited into their account and have either run out of money or want a larger bankroll. 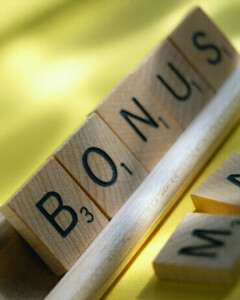 Again, these bonuses are typically matching bonuses of 100% to a certain amount and they are clearable bonuses. In order to take advantage of most bonuses, you will need to enter a promo code. These are contained within the bonus announcement. Make sure that you signup on your poker provider’s email list as many bonuses are announced through email before released to the general public.